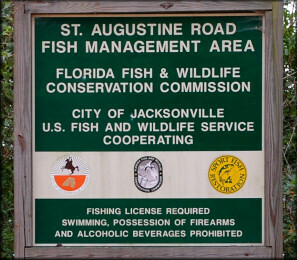 Acting on hunch, on May 2, 2007 this reporter visited two lakes at the St. Augustine Road Fish Management area to investigate the possibility that invasive Channeled Applesnails might be present in the impoundments. 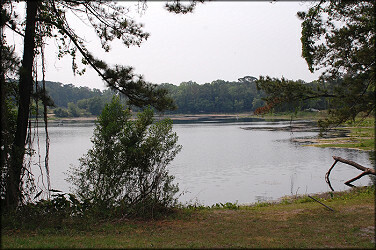 The two lakes involved, one of two acres surface area and another of ten, are part of what is termed the Jacksonville Urban Pond Project (JUPP) which is a cooperative effort between the Florida Fish and Wildlife Conservation Commission, Jacksonville Department of Parks and Recreation and the U. S. Fish and Wildlife Service to provide extensive bank angling opportunities to local citizens. 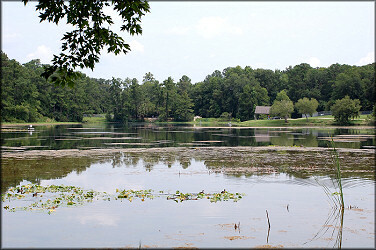 The two lakes are located north of University Boulevard, west of St. Augustine Road and are reached via Stetson Road. One other JUPP lake in the county (Pope Duval) had recently been visited (April, 2007) and found to have a thriving Channeled Applesnail population. Between the initial visit and August 5th numerous additional visits were made to the lake. 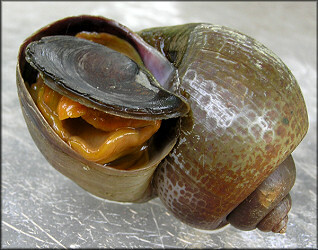 Cumulatively, only eight Pomacea specimens could be found (six living adults and two empty juvenile shells). All of the shells, as well as the modest number of egg clutches seen, were found on the northeast sector of the lake. 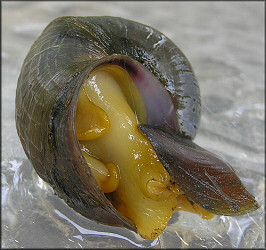 No evidence of Pomacea was seen in any other area.